I looooooooooove this card!! For the girl chickie, I created a flower hat by using white sequins and added pink bling to the center. I took the conductor hat from my chickie train stamp and used it for the boy chickie. For the clouds, I used a variety of chalk inks to get that subtle color and then sprayed frost shimmer to give it that lovely frosty look. Love it! 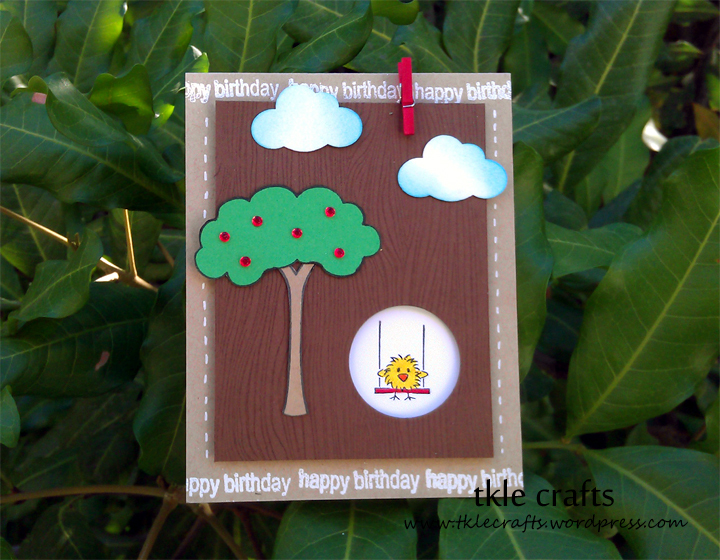 Recipe: PTI card stock, Chickie stamps from DeNami Design, PTI cloud die cut, White Gel Pen, Baby Scrapbook Paper, Glossy Accents. Just a little birthday wish from some cutie chickies! Choo choo! When I saw this stamp from DeNami Design I had to have it! It’s soooo adorable I just squeal every time I use it. 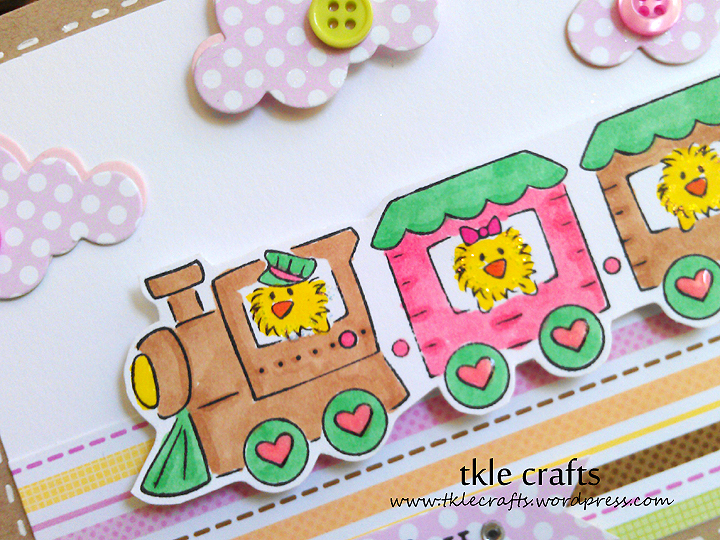 For this card I used Copic Markers to color the chickies and added stickles to give the chickies a little glitter and glam. 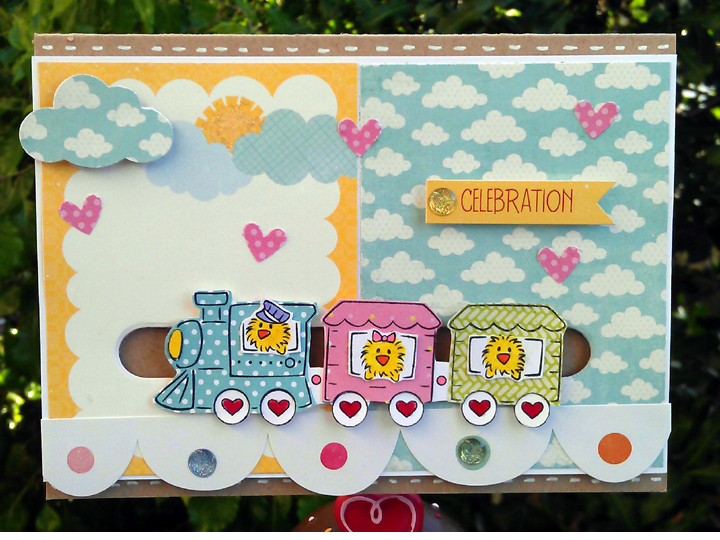 To make the clouds pop, I added some pink cardstock to the polkadot paper and cute little buttons. Finally, I used glossy accents for the wheels and parts of the train! 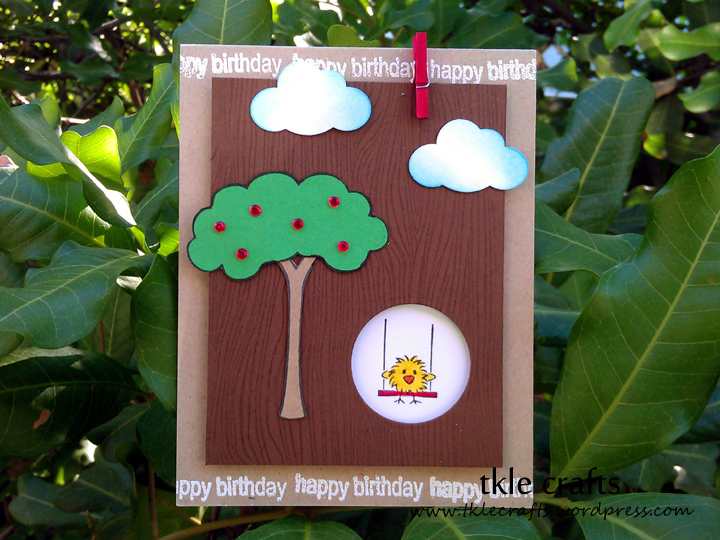 I can’t wait to make more adorable cards using Denami Design Stamps! This card is available for purchase at my etsy shop! 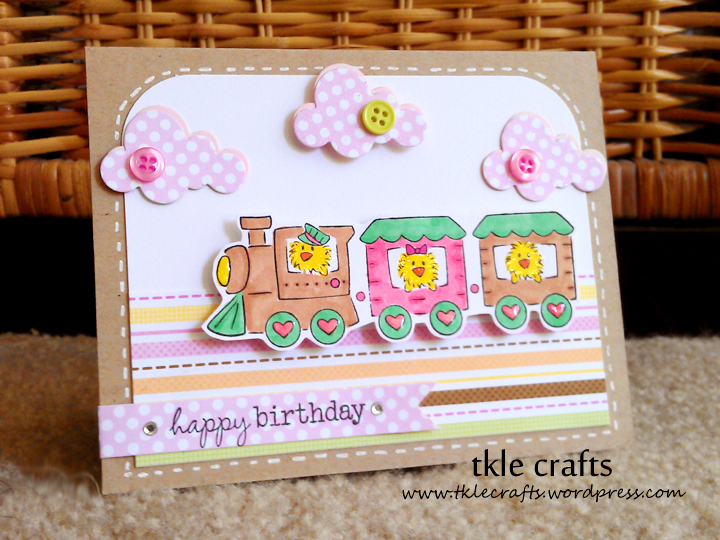 Recipe: CS from PTI, Scrapbook paper from Doodlebug, Train Stamp from DeNami Design, PTI cloud die cut, Bling, Waltzing Mouse Happy Birthday Stamp, Copic Markers, Buttons, Diamond Stickles, Glossy Accents.